With an eye-catching design and a detailed finish in glossy black, the BMW-branded pen features a stylish shaft and rhodium components. The engraving on the cap and central ring enhances the design aesthetics. 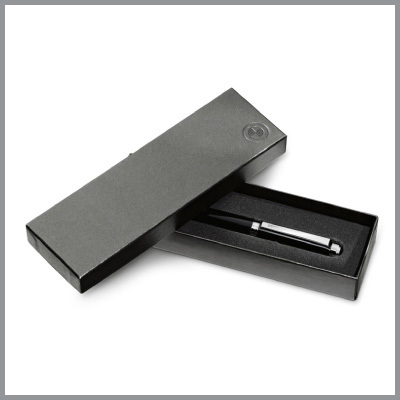 Delivered in a gift box, this German-made pen comes with a medium refill tip.